If you have been a fan of the Fire Emblem franchise, you will be pleased to hear that the latter is being brought to mobiles! Both the iOS and Android stores will be targeted and February the second has been set as the launch date. As hinted in the title, the new mobile port will be called Fire Emblem: Heroes; a decent dose of action can eventually be expected. Do not miss the newly released trailer to get an idea of what coming! Following its absolutely takeover of mobile platforms, Pokémon GO, is now set to be ported onto your wrists! That's right, the augmented reality game will soon be released for the Apple Watch and the news was announced during a Keynote event. The launch can be expected at some point before the end of 2016, but no specific date has been revealed yet. In the meantime, users can discover the new version through trailers now online! Nintendo and Niantic's coolest creation till date is finally within easy reach and it's a free game for all! That is obviously Pokémon Go and it can now be seen on the iOS and Android stores. This next-gen mobile game will actually allow players to catch Pokémons from their real surroundings, in augmented reality. Users will also get to meet monsters like Venusaur, Charizard, Blastoise, Pikachu and catching 'em all will indeed be pretty fun. Check the trailer for a glimpse of the action! We have fresh news coming from the E3 conference and it's about Pokémon GO! As you might be aware, the latter is none other than Nintendo's long announced AR technology boosted mobile game and its release is now close. That's right, it's likely to happen at some point in July and both the iOS and Android stores will be covered. For the time being, you can surely keep an eye on the developer's official website for more details. You just do not what to miss out on anything! Travel between the real world and the virtual world of Pokémon with Pokémon GO for iPhone and Android devices. With Pokémon GO, you’ll discover Pokémon in a whole new world—your own! Pokémon GO is built on Niantic’s Real World Gaming Platform and will use real locations to encourage players to search far and wide in the real world to discover Pokémon. Pokémon GO will allow players to find and catch more than a hundred different Pokémon as they explore their surroundings. Nintendo set to release two new mobile games this fall! We have some more news from Nintendo and it's to do with an announcement about their future plans! Two new mobile games are now being developed and they will both be based on existing franchises. These are none other than Fire Emblem and Animal Crossing and the releases are for this fall. No exact dates are known yet and Nintendo is likely to reveal more about these apps very soon! Fans of Nintendo's first ever mobile game have been treated! Indeed, we can now confirm that Miitomo is hosting its first event and the latter is a collaboration with another of the developer's creation. That's none other than Splatoon, the action game, out there for the Wii U. We also know that Miitomo players will be able to unlock various new perks during this month-long event. More details can be seen on Nintendo's official website and do note that this promotion will last until the 29th of May. Enjoy! Fans and prospect players are now informed that pre-registration for the long awaited Nintendo mobile game is now open! Users can get through the process on Miitomo's official website, where they will also find various additional details. Do note that pre-registration will not only bring details about the forthcoming launch, but this will also allow gamers to sign up for a Nintendo Account. To boot, various newly revealed screenshots will also be seen on the page! The long awaited Miitomo is getting close to its launch! 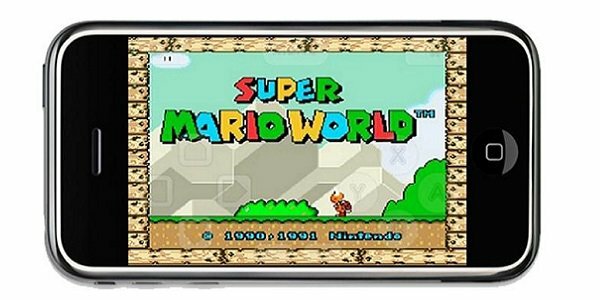 Indeed, the time for Nintendo's 1st big leap into the mobile industry is getting closer and we now have confirmation that it will be released at some point in the month of March. The app will be seen on both the iOS and Android stores and players can start signing up as from the 17th of February. Stay tuned for more details! It's going to be the 1st real mobile game coming from the partnership between Nintendo and DeNA and it will surely surprise! The app we speak of has been dubbed Miitomo and the launch was announced for March 2016. The title is likely to be free-to-play and it will task players to create an avatar and go on to interact with other players' characters. You might want to keep an eye on Nintendo's official website for more details about this forthcoming game!